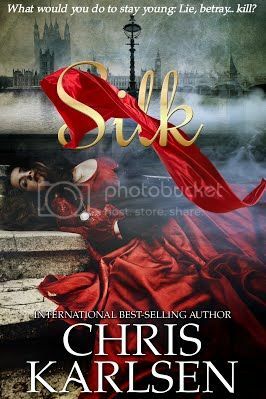 Book Trailer & Excerpt from Silk by Chris Karlsen w/a rafflecopter giveaway! To Ruddy’s way of thinking, if the man was married and looking for a tumble, he’d have met her someplace other than the gardens and at a better hour. Previous postVideo Interview & #Review of Deception Island by Judith B. Boss w/a rafflecopter giveaway! I’ll be releasing the sequel to Silk in a couple of months. I’m also part of an anthology coming out Valentine’s Day. It’s called Code Redhead and the royalties go to children’s cancer research. Watch my FB page for more info.